A web based education portal to support Local Authorities in their quality assurance role with schools. Use traffic-light RAG ratings, grades, categories & tags to get a clear picture of school performance. Intelligent intelligence! Nexus is SSL secured, has optional 2-factor authentication & offers secure file storage. Nexus is optimised for desktops, laptops, iPads, iPhones & other mobiles or tablets. An innovative records of visit module to help you effectively monitor LA interactions with schools, saving time & money. An ingenious document distribution module. 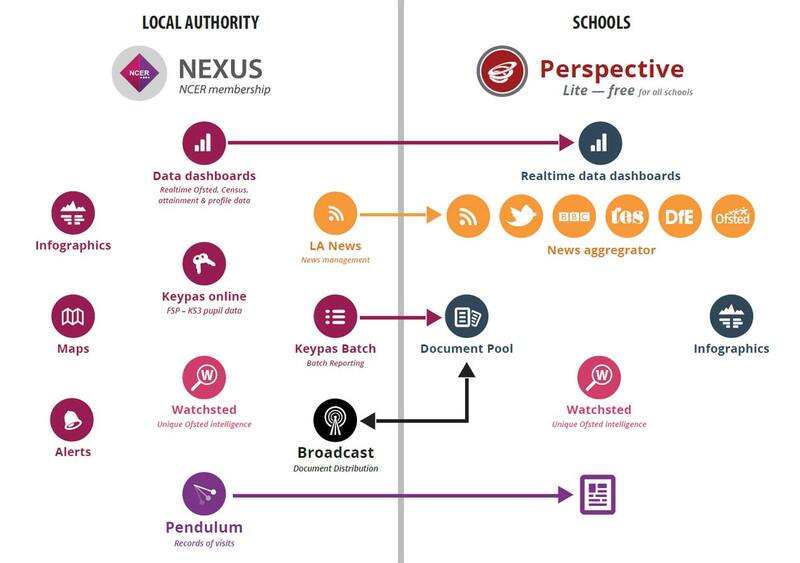 Send various reports to schools securely direct from Nexus, saving time, money and hassle. Another Successful NCER Members’ Meeting!